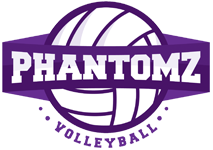 Join one of Phantomz club volleyball teams! Phantomz Volleyball Club is currently playing select, competitive volleyball in the 13, 14 15 & 16 age brackets. 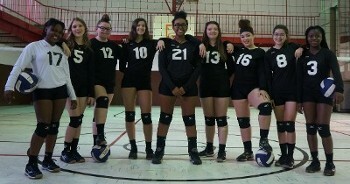 Phantomz volleyball club of Arlington, TX participates in club tournaments throughout the DFW Metroplex area. Our club season runs from December throughApril of each year. Tryouts are held in July-September, with all teams formed by November. Practices are held in locations throughout North Arlington. The training classes are held once weekly, for two hours each. Practice dates & times will vary and depend on the coaches schedules. Please attend ALL 3 tryout dates! - Verify your e-mail address in the Online Commitment System (OCS). 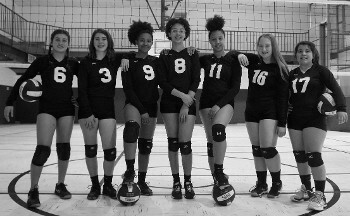 - Add your player to the OCS by clicking here if the player did not play USAV club volleyball prior to this season. - Click to verify your e-mail address or add your player. Down Payment of Half ($475.00) is due @ signing of contract. Remaining Payments of $158.34 are due on October 1st, November 1st and December 1st 2018. We will only be accepting CASH or CHECKS for Club Payments. Please add the 3% fee if you are using a CC. *Print your Registration/NTR Membership card off and BRING ALL (4) DOCUMENTS to tryouts. You WILL NOT be allowed to tryout with any missing documents. * NTR Membership Registration & Tryout Fees are in addition to Phantomz Club costs. We cannot control the NTR Membership fee. Our Club costs are tentative and can change at ANY time for a variety of reasons (additional practice costs, number of players on a team). Please be aware that this price INCLUDES all of the Extensive Training & Uniforms; it DOES NOT GUARANTEE the player's tournament play time. Club playing time WILL NOT be Equal because we are training & performing at a higher, more competitive level. There are other avenues that allow more equal play time (YMCA and local REC Centers).